Summer is on a roll, and so are the movies releases. 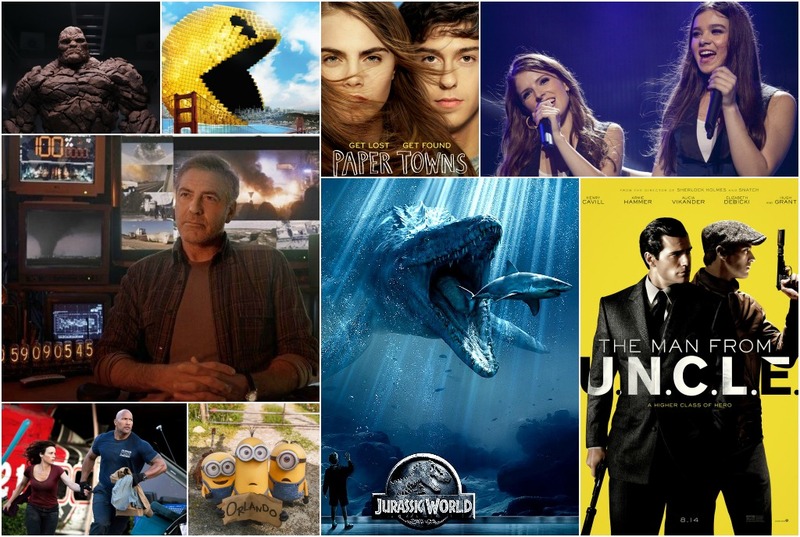 If you need a break from barbequing, swimming, and bonfires, here is a list of movies that need to be checked out in the latter part of summer 2015. If you are looking for a comedy to lighten your mood, this is definitely the one to see. Amy Schumer plays a magazine writer who enjoys the promiscuity of life without the chains of a boring, committed relationship. However, she feels that she is in a rut, until she finds herself falling in love with a successful sports doctor (Bill Hader). Director Judd Apatow has a large resume of films that throw wise punches at what it is like to grow up, such as Knocked Up, and is sure to please audiences with Schumer’s comedic voice in the spotlight. Trainwreck will release on July 7, 2015. The new TFIOS is here. An adaptation from best-selling author John Green’s Paper Towns, this film is the ultimate teenage summer flick filled with love and adventure. After Margo (Cara Delevinge) leads her quiet neighbor Quentin (Nat Wolff) on a nighttime expedition in their hometown, she disappears. Quentin and his friends are left to read the signs of where Margo may be, as he and his witty friends learn about love and friendship. This is bound to be the teenage hit of the summer, if not, the year. Paper Towns will debut to the public on July 24, 2015. The Fantastic Four reboot has been the center of attention for a long time and almost everyone knows the storyline. The question is whether or not it will top previous remakes of Marvel’s longest-running superhero team. Fantastic Four stars Miles Teller as Mr. Fantastic, Michael B. Jordan as the Human Torch, Kate Mara as Invisible Woman, Jamie Bell as The Thing, and Toby Kebbell as Doctor Doom. The movie strives to make the characters more relatable, as we get to know them before the awesome effects and action storm the stage. The cast is super confident about their work and I am super confident that this movie will be two thumbs up. Fantastic Four will hit the screen on August 8, 2015. Meryl Streep will blow audiences away as usual in her newest film Ricki and the Flash. She plays a rocker who gave up everything to pursue her musical career, but has to return home to fix her daughter’s broken heart and ultimately fix relations with her family. This is will be the perfect mother-daughter movie, because “Sometimes a girl just needs her mother.” Ricki and the Flash premiers on August 7, 2015. If you ever find yourself looking for something to do, grab a friend and some popcorn, and let these movies blow your minds.